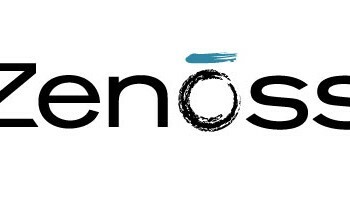 I have been getting some questions and emails about problems with adding linux client to Zenoss monitoring as explained in my post on Install Zenoss Monitoring Server on CentOS 6. I decided to post the SNMP daemon configuration i use, to add linux client to Zenoss monitoring server and write in general how to get things working. Following this post you will learn how to configure linux client to be monitored via SNMP by your Zenoss server. By adding linux client to Zenoss monitoring, you will be able to see relevant linux client data and also linux client performance graphs in your Zenoss server web GUI. 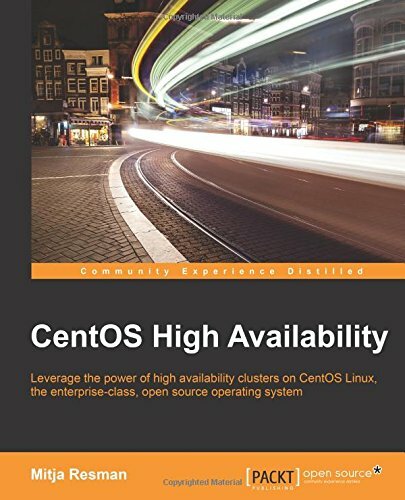 Let’s learn how to Add Linux Client to Zenoss Monitoring! You should install “net-snmp” package which provides SNMP daemon and other requirements for successful SNMP monitoring. ## Make at least snmpwalk -v 1 localhost -c public system fast again. “syslocation” parameter is the information about the location of your client. 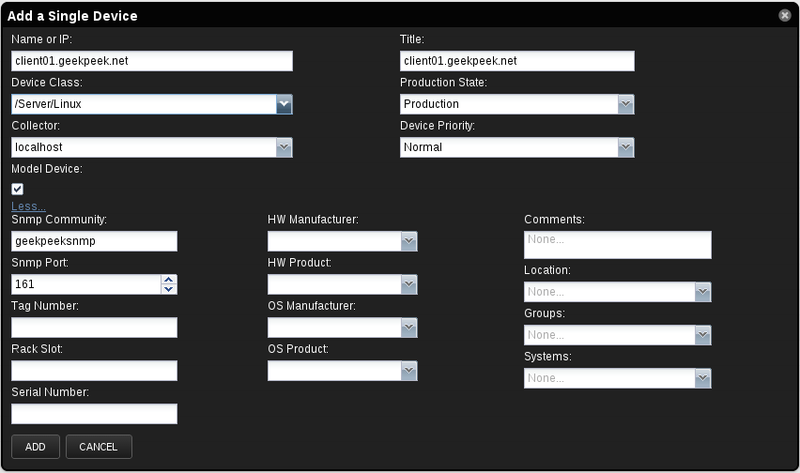 “syscontact” parameter gives information about the administrator email. “com2sec notConfigUser default geekpeeksnmp” line is important since the “geekpeeksnmp” is the unique comunity name i use. This community name must be defined on the Zenoss server side also, when adding a new linux client. If the correct community name is not provided, the Zenoss server will not be able to get SNMP information from the linux client. Reconfigure IPTables on the linux client to allow SNMP traffic. The SNMP traffic is running on UDP port 161. Add the following line to /etc/sysconfig/iptables file and reload IPTables service. Now you have to start the SNMP daemon service on your linux client and make it start at boot. Go to Zenoss web GUI and click to add a new client. In the add new client form enter the linux client name or IP address, choose the device class and click on “more” to define the “SNMP Community” parameter according to the linux client. We are finished with the Add Linux Client to Zenoss Monitoring post. 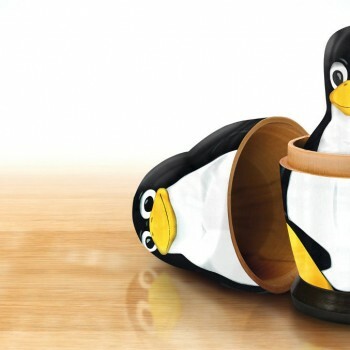 If you get a “Timeout: No response from …” error check the firewall configuration between Zenoss server and linux client.